When the Continental Airlines Auckland Brass were booked to play at the inaugural Rugby World Cup at Eden Park in 1987, McGough was invited to play solo, and concluded the international telecast with "Now Is The Hour" before an estimated international television audience of 300 million people. During his time with the World Champion Continental Airlines Auckland Brass John served as their MC. 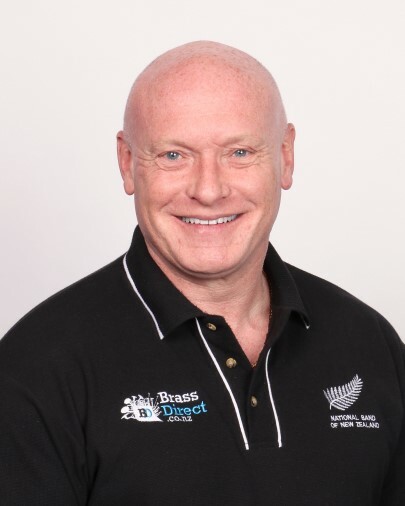 He also branched out playing for well known Auckland soul bands the 7 Deadly Sins, Rick Bryant and the Jive Bombers and was called upon to assist the popular Auckland big band the Queen City Big Band. In 1986 the newly formed Queen City Big Band were finalists along with John, who was a solo entertainer, for the title of New Zealand's "Rising Star of the Year" which was won that year by young singing sensation Annie Crummer. He has released an album, 'Two Shades of Brass'. Available for purchase on iTunes, Spotify and Google Play. The album is also available on board all Air New Zealand international flights on their inflight entertainment menu. In 2016 McGough was again selected for the National Band of New Zealand competing at the 2017 World Championships in Kerkrade, the Netherlands, where they were awarded 2nd place.